This experiment takes place in the second session of our astronomy and philosophy course. It is made near the autumn equinox. 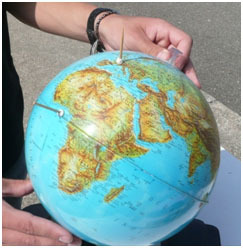 The aim of this activity is to use a similar method to measure the circumference of the earth. Measure the height and the azimuth of the Sun as accurately as possible. 1. 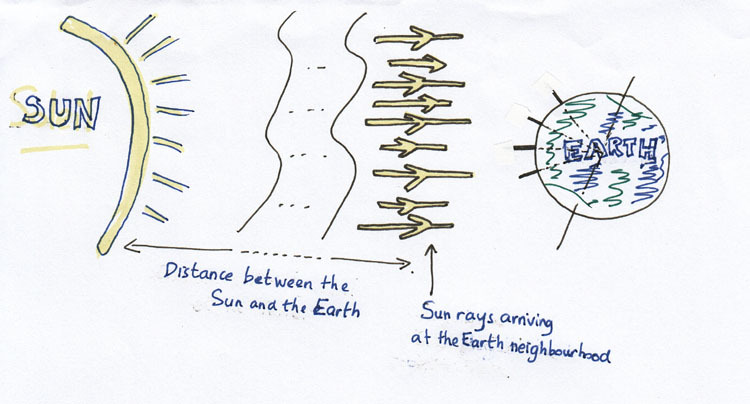 Knowing that we cannot look at the Sun directly, propose a simple experiment for viewing altitude and theazimuth(see definitionsin the dictionary). Make a list of the necessary equipment. 2. 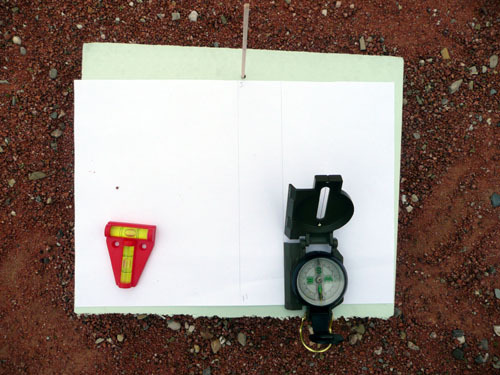 The teacher gives the following equipment: a polystyrene board, a stick wood, a compass, a level, a ruler, a piece of paper, a square, the experiment takes place in a yard with gravels. c) What are the phenomena that make inaccurate measurement? What do we need for this experiment. The experiment ready to use on the ground. 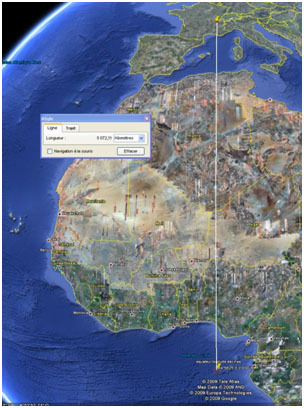 Thanks to the shade of a stick, Eratosthenes was able to measure the circumference of the Earth. We work, with a similar method, on measurements carried out on the day of the Equinox. 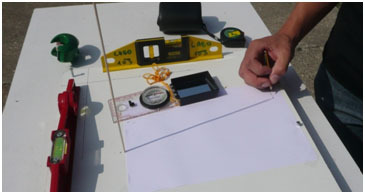 1) Students from different countries decide to measure at the same time the position of the Sun in the shade of a stick. The experience is drawn below (the drawing is not to scale). Represent the shadow of the for sticks on the drawing below. The Equinox in took place this year (2010) on September 23. Complete: On the Equinox, on the Earth, the duration of the day is ……….. that the duration of the night. 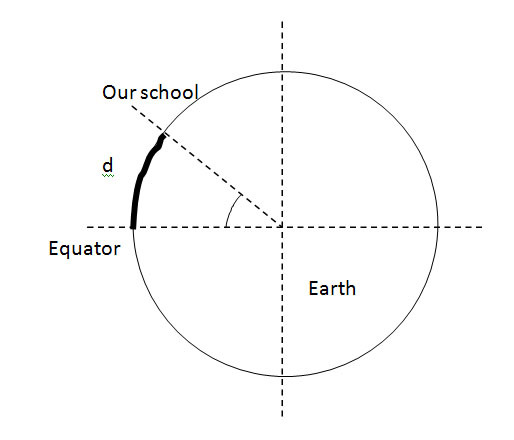 Another particularity of the Equinox: atsolar noon , the Sun is at the Zenith, i.e. to the vertical from the equator. 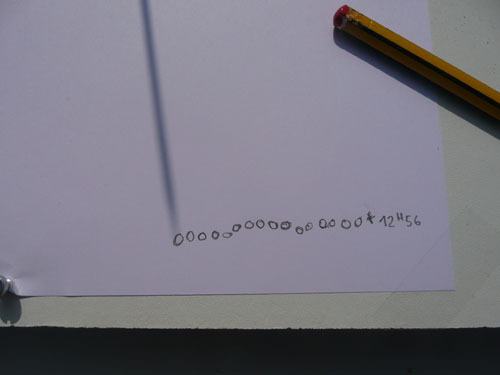 What then is the length of the shadow of a stick placed vertically at the Equator? 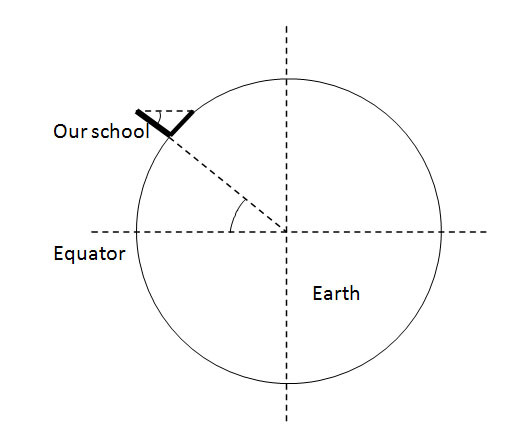 3) In Décines (our school city), students plotted on the day of the Equinox the position of the end of the shadow of a vertical stick around solar noon. 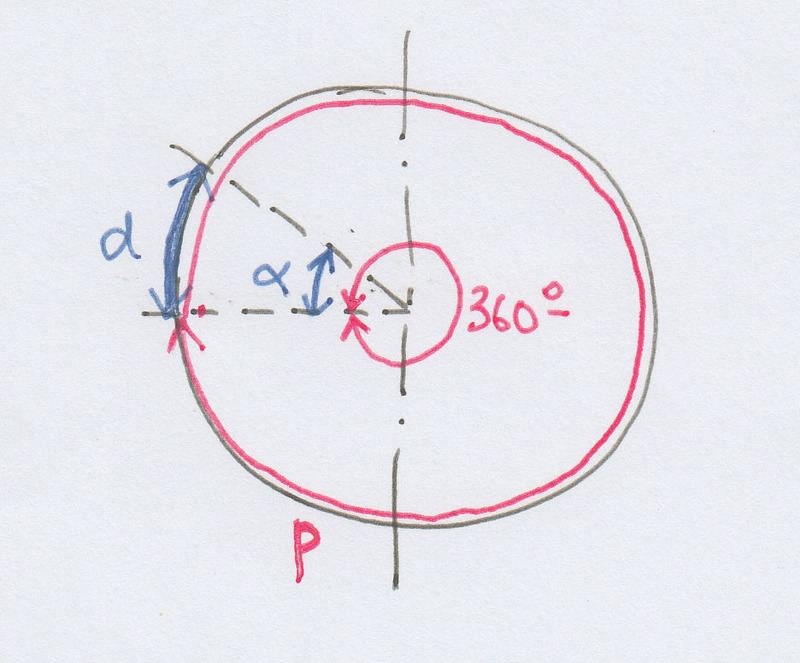 6) From the properties of the circle, determine the perimeter p of the Earth.